SPOKANE, Wash. – As Gonzaga University supporters today celebrate the fourth annual Gonzaga Day, President Thayne McCulloh thanked the extraordinary generosity of Spokane residents Fritz and Jeanie Wolff, and their family, for their transformational gift. Thanks to the Wolffs and nearly 28,000 other supporters, Gonzaga has raised $207 million toward its $250 capital campaign goal. Gonzaga Day this year celebrates academic innovation and the ways in which a Gonzaga education pushes limits and provides the foundation for Zags to do incredible things. The Wolffs’ commitment to Gonzaga Will: The Campaign for Our Future is unique in that it is not designated for a particular purpose but rather intended to allow flexibility so Gonzaga can seize opportunities as they are identified. In addition to this campaign gift from Fritz and Jeanie Wolff, the entire Wolff family has generously committed to a significant contribution to help fund construction of Gonzaga’s Center for Athletic Achievement. Establish the Chairs Endowed Scholarship Fund, which identifies and provides scholarship support to two high-need students in their junior year. 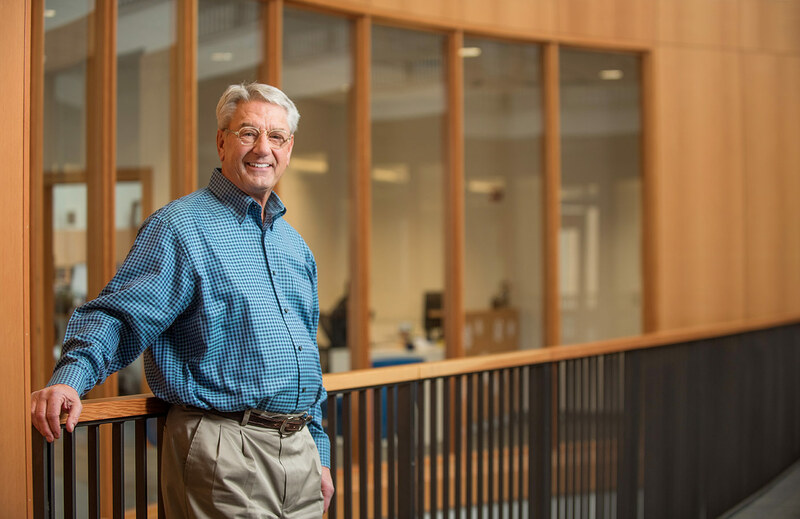 Fritz Wolff, who established and fully endowed this fund when he served as chair of Gonzaga’s Board of Trustees, believes it is critical that the Board chair maintain authentic conversation with GU students. As a result, the fund stipulates that the current Board chair engage in regular dialogue with the scholarship recipients regarding the realities of student life at Gonzaga. Refurbish and update the technology of the Wolff Auditorium in the Jepson Center for the School of Business Administration; the remodel will begin this summer. Endow a number of Annual Fund challenges to grow participation in young alumni giving, help young motivated benefactors establish endowed funds in perpetuity, and drive year-end giving. Expand student service throughout the region through support of CCASL (Center for Community Action and Service-Learning). During this year’s Gonzaga Day celebration, the University is asking Zags, “Who will bring innovative ideas to other nations?” and “Who will unfold our students’ potential?” The answer: Gonzaga Will. The University also marked Gonzaga Day by inviting supporters to cheer on its men’s and women’s basketball teams. The women battled the University of Portland in the Kennel while the men played at Southern Methodist University. Learn more about Gonzaga Day at www.gonzaga.edu/gonzagaday.